Be the hero of the town as you patrol its streets and lend a hand in Tonka rescue and construction vehicles in Tonka: Rescue Patrol. In customizable cars, trucks, and helicopters, you'll explore five different environments that expand as you play. You can customize your vehicles to suit your style of play and perform jumps and other stunts on the free-roaming landscape. 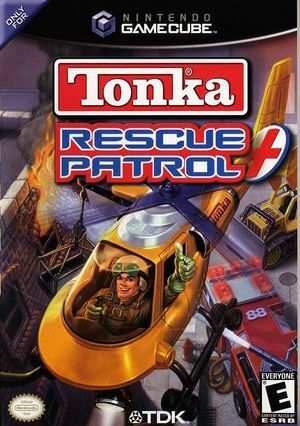 Tonka Rescue Patrol features realistic rescue missions with Tonka Joe as your guide. The graph below charts the compatibility with Tonka: Rescue Patrol since Dolphin's 2.0 release, listing revisions only where a compatibility change occurred.